Northern Utah artist and professor, Gretchen Reynolds, is a master of artistic mediums in painting, puppetry, and performance art. She melds these three forms of art together through various combinations bringing a new life and excitement to each one. Reynolds will present at Southern Utah University’s J.L. Sorenson Physical Education Building, Room 101, on Thursday, March 24, 2016, at 7 p.m. Admission is free and the general public is invited to attend. No stranger to arts education, Reynolds has dedicated her life to art and educating young people about various creative methods. She teaches Introduction to Visual Arts as well as Puppetry in the Department of Visual Art and Design at Weber State University. Reynolds is also a co-founder of the Dunce School for the Arts in Salt Lake City. 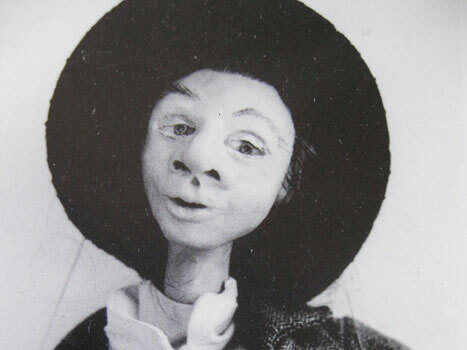 The Madigan Strung Puppets, a traveling marionette puppet theater group, was founded by Reynolds as she continued to change the artistic community with her talent in puppetry. She has since expanded her work to include performers in other disciplines. Her most recent collaborative work with puppetry, titled "Jack Rising", was performed in Brooklyn, New York, at Gowanus Art & Production in October, 2015. Art Insights is a weekly program hosted during the fall and spring semesters by SUU’s Art and Design faculty. Students and community members meet to experience presentations and discussions by visiting artists and art educators from around the nation who share their work and insights. Admission is free, and the general public is invited to attend. Come and see Reynolds’ mesmerizing examples of painting, puppetry, and performance art this Thursday, March 24, at the J.L. Sorenson Physical Education Building, Room 101. For more information about this and other SUU College of Performing and Visual Arts’ events, visit www.suu.edu/pva.